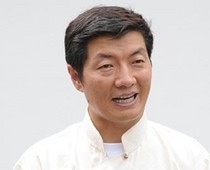 The new prime minister of the Tibetan government-in-exile, Lobsang Sangay, plans to generate 10,000 professionally trained Tibetans within the next decade. Sangay, an alumnus of Harvard Law School, said education would be his top priority. “It is the beacon that will light the future of Tibet. We will strive to reach 10,000 professionals among the 150,000 Tibetans in exile,” he said. This vision of the new Tibetan prime minister has also been praised by the Tibetan spiritual leader, the Dalai Lama. The Tibetan government-in-exile is based in Dharamsala, Himachal Pradesh. "I am impressed with Lobsang Sangay's views on education,and praise his policy to generate 10,000 professionally trained Tibetans within the next decade," the Dalai Lama said. Tibetan refugees are mostly traders and small time shopkeepers across Himachal Pradesh and the rest of India.